Numerous peer-reviewed published studies have linked an increase in Vitamin D uptake with a decrease in influenza infection during the flu seasons. The logic is easy to understand: winter brings shorter days with less sunlight, when influenza is most prevalent, while influenza outbreaks are rare during the summer months with increased exposure to sunlight. However, other studies have also been published which seem contradictory, showing little to no association of uptake in Vitamin D with a decrease in flu infections. These studies have, obviously, been highlighted more by the corporate-sponsored "mainstream" media in their efforts to market the annual flu vaccine. A study published from researchers in Japan may have unraveled this seeming paradox. 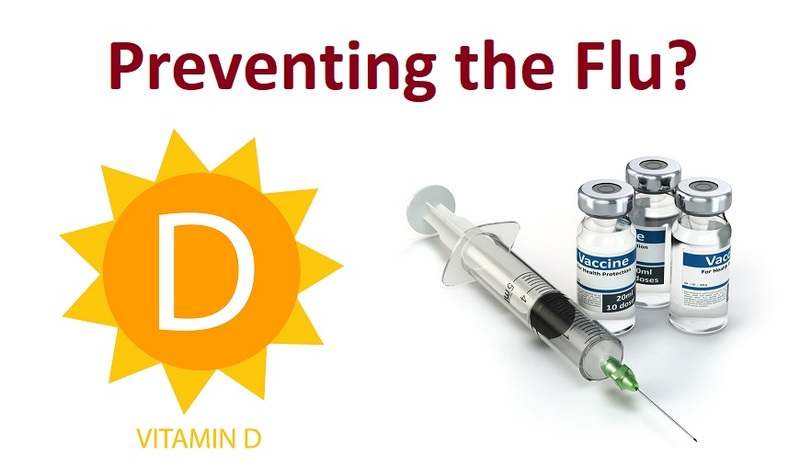 In their conclusion, they admit that overall the statistics did not significantly lower the risk of influenza through Vitamin D supplementation, except for one sub-group - those who had NOT received a flu vaccine. They wrote: "In a subgroup of participants without vaccination, vitamin D sufficiency (≥30 ng/mL) was associated with a significantly lower risk of influenza (odds ratio 0.14; 95% confidence interval 0.03-0.74)." Could this be the reason why there are seemingly contradicting results from studies looking at Vitamin D levels and rates of influenza? Could the flu vaccine itself be preventing the body's own immune system from benefiting with higher levels of Vitamin D to naturally fight off flu infections?